Malware scanner that detects and removes viruses, trojans, worms, bots, spyware, adware and tracking cookies. 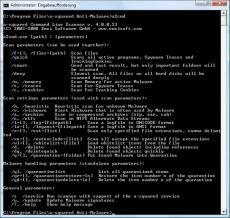 Emsisoft Commandline Scanner is a part of the Emsisoft Anti-Malware package, but it can also be downloaded as self-contained package on the download page. Complete protection with antivirus, firewall protection, parental controls, and more!